Participants and faculty of the 2014 ALBA Institute in Tampa. ALBA’s Institute staff has a busy fall, with workshops lined up in Tampa, Florida; Bloomington, Illinois; New York City; and Bergen County, New Jersey. 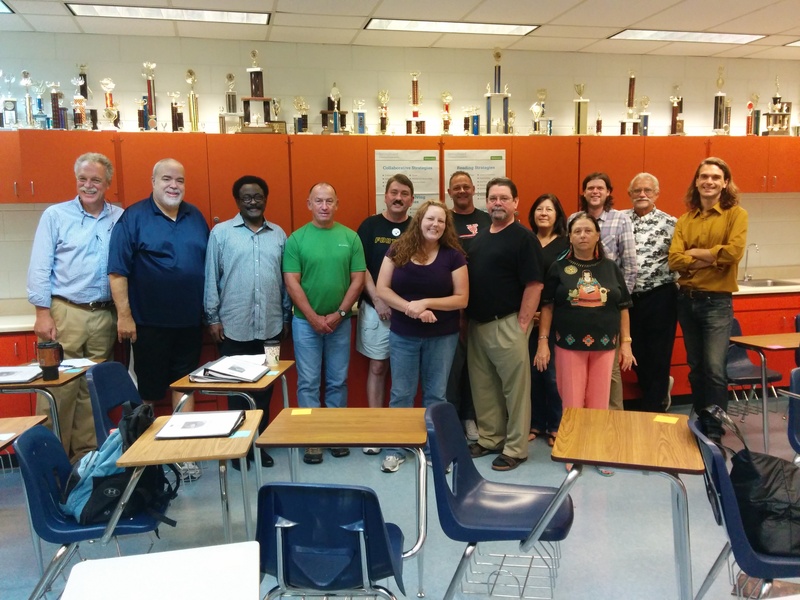 On August 13, ALBA led a professional development day for social studies teachers in Tampa’s Hillsborough County School District, the third largest in Florida and eighth largest in the country. Fraser Ottanelli, Vice Chair of ALBA and Professor of History at the University of Southern Florida, worked with veteran teacher Robert Alicea and ALBA’s Sebastiaan Faber to introduce teachers of U.S. History, World History, Government, and Psychology to the Lincoln Brigade and the Spanish Civil War. After screening documentary footage from The Good Fight, teachers drew on ALBA’s anthology of primary source materials—letters, speeches, posters, and photographs from the Archive—to create compelling lesson plans for their hundreds of high school students. 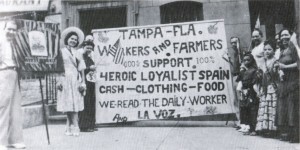 Mobilized Spanish immigrants in Tampa, Florida. Reproduced in Stars for Spain: La guerra civil española en los Estados Unidos. 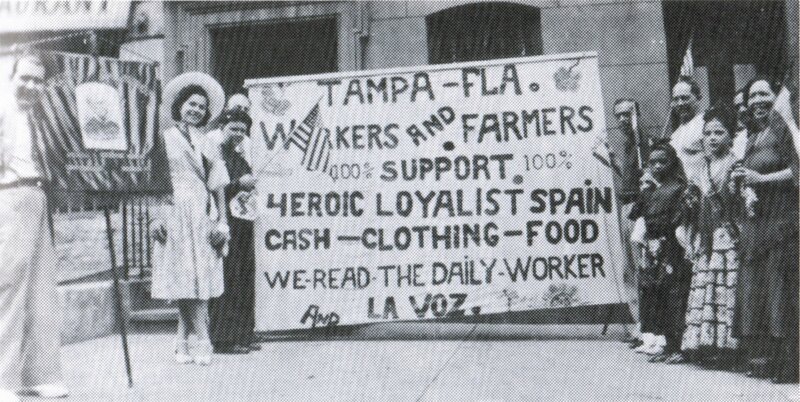 This was ALBA’s fifth institute in Tampa—a historical center of Spanish immigration and labor activism, from which more than two dozen volunteers left to join the fight against fascism in Spain. The city’s Centro Asturiano, founded exactly 100 years ago, features a monument in their memory. For more information about ALBA’s institutes, or for a range of primary materials and Common Core-aligned lesson plans, visit ALBA’s teacher resource website at resources.alba-valb.org.